Information about the various import and export formats available in CINX. The Viewpoint MEP (Estimation) import is the "Summary Export". This export is customizable, so users will need to adjust the columns in this export. Read this for more information on the specific columns required for a succesful import. 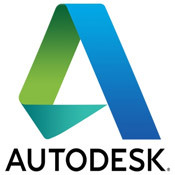 If you have Autodesk Fabrication 2016, contact HPH for the new CINX- Autodesk Add-in! This will eliminate the need to set-u the export template in Autodesk...the Add-in takes care of the information transfer for you! Step by Step directions to find and add items to QuoteSoft using CINX and the CINX New Item Export.